At TSO San Marcos we treat common eye diseases for residents of Canyon Lake, Wimberley and San Marcos. Find out more about each disease by clicking on the list below. If you have any questions, feel free to call our Eye Care Clinic. Cataracts are a common cause of vision loss. Learn more about recognizing cataracts symptoms, protecting your eyes and understanding cataract surgery. Early detection is key, and patient education is important when you are being treated for glaucoma. 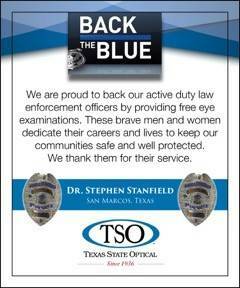 If you suspect you may be developing glaucoma, contact TSO San Marcos today. Macular degeneration is an eye disease that affects the portion of the eye responsible for processing fine detail and providing sharp central vision. The common conjunctival degenerations can cause increased eye redness and ocular discomfort.